Yes, I have read Turnbull and know his version but I have spent 15 years by Soke’s side hearing the wisdom that our art has brought us. It reverberates deeply. It is not academic. We are not looking to prove a direct lineage. At least I am not. I am trying to explore the origin story of the Toda family’s art. I don’t care how old it really is. If the art was created in the Edo period by a bunch of Onmitsu and Oniwaban agents, then so be it. To me, it is like the Masons picking up where the Templars left off. The Toda family were no doubt Takasho which have a strong connection to the Onmitsu and Oniwaban. I have continuously found records that prove the Toda family have worked as Torimi/Onmitsu agents and can prove that they came from the Iga-Shu sharpshooters. The evidence is mounting high very quickly. It is just a matter of putting a label on it. Toda Sensei felt it should be called Togakure Ryu. Maybe it is just a remnant of the Iga Ryu giving credit to the story of Togakushi. Whatever, I am just interested in the ride through history that this origin story has provided us because without it I never would have had this personal adventure of discovery and excitement. Seriously, every day I find more and more than just line up with Takamatsu’s story. I think we are just still stuck on what we do and do not call ninja and ninjutsu. And I for one still prefer my Japanese resources. As great as a researcher as he is, I do not think he is the one to draw the line as to what is and what is not the truth about a very secretive Japanese art. Originally, this was going to be a short essay that was going to discuss different aspects of a long discussion I had with some Bujinkan practitioners some time ago. However, after spending several hours just talking about Budo and my experiences in Japan and China with these students, it became evident that a simple essay would not be enough. To this end, a magazine series detailing different aspects of the discussion, along with additional material concerning the Bujinkan Kokusai Renkoumyo (BKR), of which I created, seemed more appropriate. Hence, this series was born. I am often asked, “How long have you been studying Bujinkan Budo Taijutsu?”. My answer is complex because in the early days of the art in the USA there were not many schools or teachers. 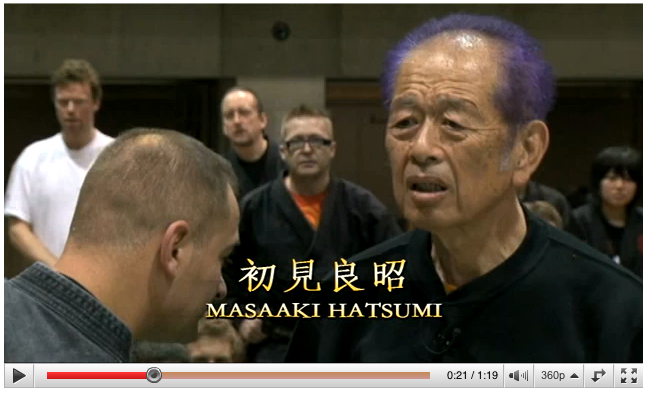 I first met our 34th Grandmaster Hatsumi Sensei in 1986 at the World Ninja Summit in Ohio. But for about two years before that, I was training with a man I will call JK. He was a Kyu a ranked student under Stephen K. Hayes when I first met him in 1984. By the time I had met Hatsumi Sensei, JK had earned his Shodan or “black belt” but he soon stopped his training shortly afterward for personal reasons. Soke. As JK had stopped training and teaching, from 1986 onward I also trained with Jack Hoban, BudMalmstrom and Stephen K. Hayes. It was always seminar training events only; I was not a member of their dojos. that was on a monthly basis in neighboring New Jersey. I pretty much got my driver’s license as soon as I turned 16 just so I could drive the trip myself from NY to NJ and back, and not rely on others. Then, at the 1989 Tai Kai, I met Hatsumi Sensei for the second time, and I really began to take my training much more seriously. This is also when I met the well-known American instructor, RalphSevere. I started flying down to Dallas Texas to train with Ralph, and my group and I brought him up to NY a couple of times for seminars as well. So that’s how it started for me, and how I moved to Japan in 1991 after my first trip in 1990. What is the Bujinkan Kokusai Renkoumyo? It is not really different at all. The BKR is simply an association of teachers who all train under the same syllabus up to the 4th Dan, after that the student becomes a student of the headmaster inJapan under the guidance of their BKR instructor. The only real difference between us and your average Bujinkan Dojo is that we strongly encourage cross training with other systems and allow students to compete in various types of tournaments should they decide to do so. This is about the only thing different about my organization. 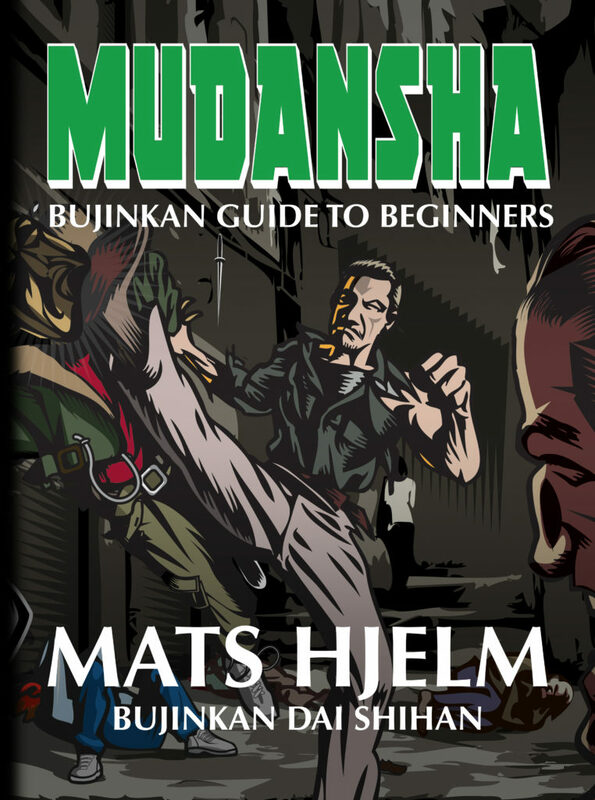 We are a subset to the mainstream Bujinkan. If you look at the old purple Togakure Ryu Ninpo Taijutsu Book by Hatsumi Sensei, (handing it to one of the students to look at) at the beginning of the book he writes about proper diet, which Sensei takes very seriously. He discusses stretching, which you rarely see anybody does properly anymore. There are many dojos that don’t even stretch at the beginning of class. Sadly, they feel it is a “waste of dojo time”. So with the BKR, I try to cover all of this old material. I try to instill the basics. This old book of sensei is said to be the required material up through the rank of Godan or the 5th-degree black belt (flipping through the pages of the book). I incorporate all of this, such as the Junan Taiso, which in some ways is very much like yoga. None of the stretchings is quick or fast, it is all slow and relaxed. As I mentioned above, another difference between my dojo and some Bujinkan dojo is the inclusion of contact sparring and competition in the 1960’s & 1970’s. Sensei was already slowing down with this type of training. It usually happened spontaneously when we would help with walks with the dogs he had at the time. We would pass a park or an empty field and he would tie the dogs up and just start throwing us around. If it wasn’t for Anthony, I never would have had these opportunities. He always had a special relationship with Sensei and he got my foot in the door with him very early. I am ever grateful. (our 33rd Grandmaster or Soke) was well known in the Japanese Martial Arts community in pre-WW2 Shanghai China as the “Moko no Tora” or the Mongolian Tiger. It is said he had over 100 competitive matches and never lost. Hatsumi Sensei was a competitive Judo player as well and has stated that his training in competitive Judo is what made him so strong and get him to the level of even being introduced to Takamatsu Soke. Therefore, in the BKR the opportunity for competition is there for those who wish to pursue it with a Bujinkan heart. There is resistance training and controlled sparring in all BKR session to develop each student’s ability to apply the techniques in actual situations. But there is no requirement to compete. Sensei sees in me that I am worth aSandan……someday.” They have to admit to themselves that they don’t know the techniques properly yet. 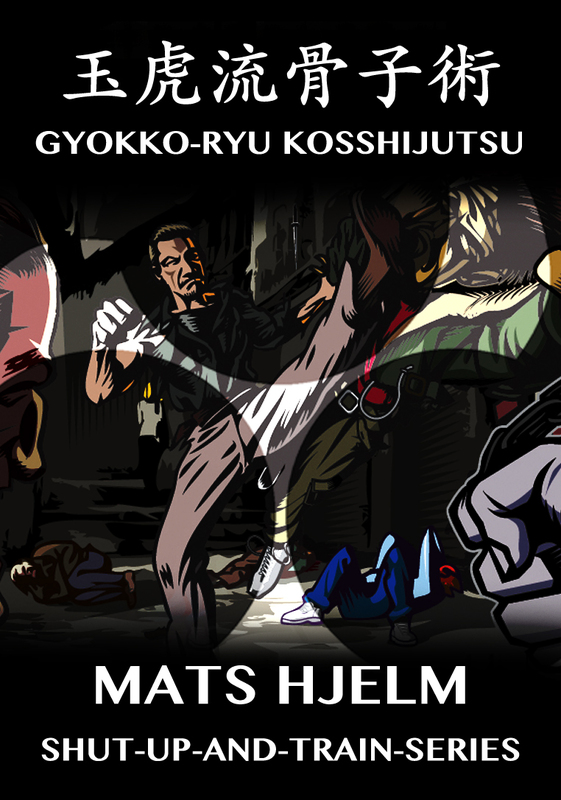 Ten Chi Jin Ryaku no Maki2, which Sensei wrote for Shodan. over 15 years in Japan.” When I first went to Japan after high school in 1990, there were only a few hundred Godan in the world. Within 20 years, there were several thousand. Who knows how many there are now. Let’s just say Sensei has definitely sped up the process. I do believe that it was different back in the early days. The original students are like family to Hatsumi Sensei, he loves them as his own. bokken, and hanbo, and things like that. etc. are in the ranks above Shodan. We train with weapons at every level, but it is not a required item on the syllabus until after Shodan. In 2001 Hatsumi Sensei knew I had made the decision to move back home to the USA for a few years before returning to Japan, and we had discussed my training because of this. He said that I should go and teach the Ju-Godan the basics! That’s how the BKR got started. He endorsed my syllabus because he wanted me to teach. a member, there is no such thing. When this magazine comes out, there will be a fee for that, but there is no fee to be a member. If you are a Sandan in the Bujinkan, and you want to have the BKR certification, there is no charge for the certification. You just have to pass the tests. 1. The kihon happo, or “infinite basics”, along with the movements of the San Shin no Kata, are considered the basic techniques and movements of Bujinkan Budo Taijutsu. 2. The Ten Chi Jin Ryaku no Maki, or “The Outline Scrolls of Heaven, Earth, & Man”, is considered the first training curriculum Hatsumi Sensei prepared for his students. Many have been asking me when the Togakure Ryu history book that includes the information about Toda will be ready. Honestly, I am slightly behind schedule due to several long business trips with my day job but I still plan to be finished with the rewriting and editing by the end of May. So, if things go really well I may have copies at the end of May. But at the latest, I should have everything ready in June. 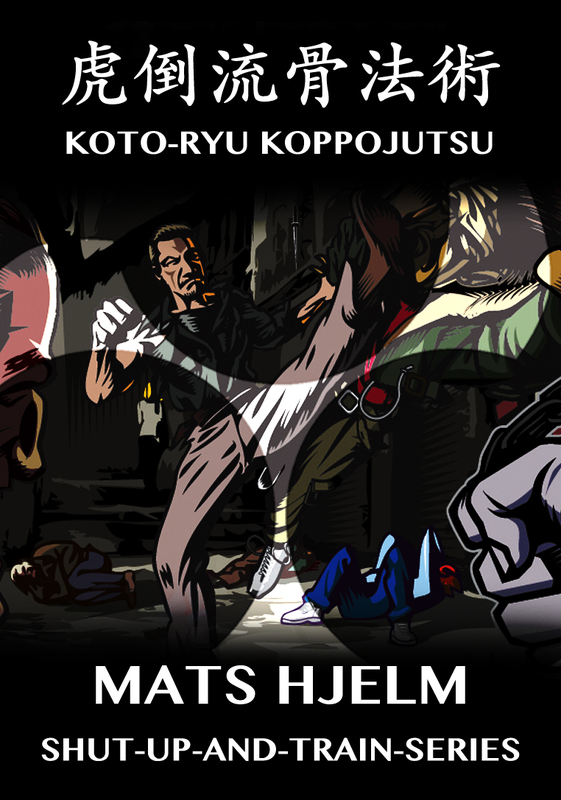 I am also opening a new website in conjunction with the book to promote the BKR Dojo’s new member’s only content. I will still always be writing and posting for free here on Facebook but this will be for my personal students and for those who want more in-depth videos and articles along with the chance to earn rank in the BKR syllabus created by myself and approved by Hatsumi Soke and Noguchi Dai-Shihan in 2001. There will be monthly live training webinars included for members. All for the low cost of $9 per month. It is Taihenjutsu (大変術), not to mention, that is the root of all of the Bujinkan’s techniques. Here is where you pull off all the strikes, joint locks and throws. It is the same if performing unarmed Taijutsu (体術) fighting techniques or with Bukijutsu (武器術) weapons techniques. I think many of you have already come to understand this now. In this essay I will return to the origins, and explain in detail this basic point that should be called the Bujinkan’s root principle technique. 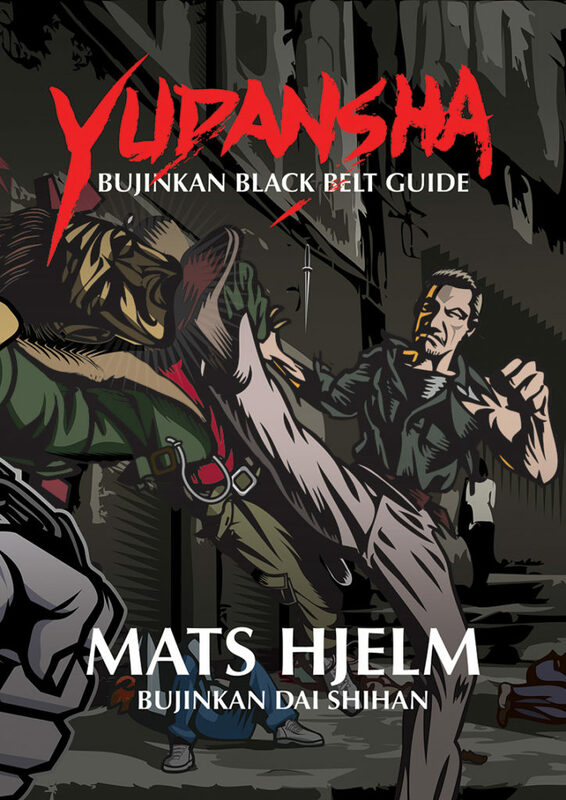 The Koppojutsu mentioned in the above title is referring to one of the core styles of the Bujinkan system, the Koto Ryu Koppojutsu. When generally referring to Koppo (骨法), many people may have the image of striking techniques in their mind but in the old schools of Jujutsu, a fist (拳) did not always mean a hand held in a closed fist. Just the same, Koppo does not always equal striking techniques. It is certain that striking skills are an important part of the Koto Ryu and there are striking based techniques in the style such as Yokuto and Setto. But not limited to only that, there are throws, as in the form Hoteki, and there are also joint lock techniques and muscle grabbing techniques in the style. But what all forms have in common is that you move with the legs in an X pattern to approach and attach yourself to the opponent while applying the techniques. Each technique has an established theme and then with these forms as a base, various elements are added. Therefore, even with throwing techniques, various types of techniques will be used in combination. For example, Hoteki is reverse-over the shoulder throw versus a grab to the chest. But at the moment when the opponent’s body floats up from the reverse lock on the elbow, a pressure point grabbing technique is applied in combination to the points in the opponent’s arm. Depending on the flow of situation you can also strike the pressure point called Jakkin on the inside of the bicep rendering it unable to resist the technique. Also, the form Setto is a technique versus a grab to the chest using a type of fist called Shikanken. This fist is formed by half closing your normal fist and striking the opponent’s Jakkin with the second joints of the four fingers, followed by a thumb strike from the other hand to the floating ribs. At first glance it seems like a very simple technique but from this point many variations including various throws, joint locks and grabbing techniques are included. The theme of this technique and the secret to its application are important elements. Therefore, as I have expounded “Koppo” means the knack or the gist of how to apply the techniques. Along with the Koto Ryu, the Gyokko Ryu Koshijutsu is another of the core arts of the Bujinkan. Koshijutsu is said to mean the “essentials” of all martial arts (the mother of all martial arts). Here the use of the Kanji character for bone in the “Ko” part of “koshi” is used to imply as always, the root principles or the theme of the art. The use of this character is not simply just a pun, it is meant to impart a deep feeling. In this essay, to analyze the fundamental parts of the Koto Ryu, I will explain the basic Kamae and their usage. I have said many times that Kamae is the birth or the beginning of a technique and not a fighting pose. But I think that it will be even more clear if we look at the photographic explanations. From these Kamae, I’d like you to understand how to use Taihenjutsu to deal with your opponent’s attacks. In the Koto Ryu, Kamae is called Kurai Dori (位取) and this term shows that it contains various feints, variations and counters. Essentially all the elements of the martial arts are contained in the Kamae. Specifically, move from Seigan no Kamae to evade the line of attack by moving the body to the side where you can counterattack immediately. Or you can turn your body sideways to avoid the line of attack to the inside or the outside, immediately spreading both hands forcefully to hit the opponent’s face with the back of the hand or palm (this position is Hira Ichimonji no Kamae). At the time of avoiding the attack by turning to the side and flattening out, do it just like trying to squeeze through a crowd. By opening both arms out. During this movement it is possible to be completely flattened out. There is also the meaning of complementing the movement of the front hand with the with symmetrical arm movement of the backhand. The raised leg is meant for kicking and hooking, and everything is prepared to be useful for battle with no waste. In addition, spreading both hands to the left and right and keeping both feet flat on the floor while dropping their waist is called Hira no Kamae. To do Houko no Kamae face your body to the front and raise both hands up and in front of you. The knack of this is to keep your hands and arms up like you are wrapping up or absorb your opponent into your arms and body. Both hands can be used for offense or defense. It is a very easy Kamae to use in actual battle and is used for facing a swordsman while unarmed. While Seigan no Kamae leads to the sword, staff, spear, etc. this Houko no Kamae is the basic stance of using secret weapons like the Tekagi (手鉤) or “hand claws”. As for this, I would like to explain more, in addition to the Tekagi, there are also many techniques including dangerous weapons such as the “ring spike” or Kakushi (角指) and “iron fists” or Tekken (鉄拳). There are even knife fighting techniques as well. But regarding these, I wish to avoid from putting on paper the techniques that are regarded as dangerous. If you are seeking real training head to the door of your nearest Bujinkan Dojo.